Making quality health care affordable and accessible has been the objective of the Trust ever since its inception. The Trust has initiated several activities that benefit the rural and urban poor. 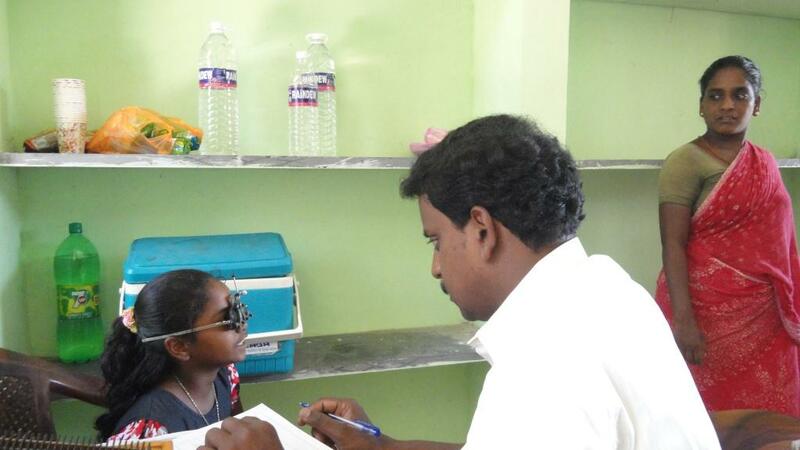 Apart from organizing health camps and health awareness programmes, the Trust also distributes medicines to economically weaker sections of the society. 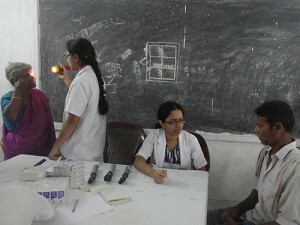 Medical camps especially for people in rural areas are organized by the Trust. Specialists from recognized hospitals carry out various diagnostic tests free of cost. Medicines are also distributed free. 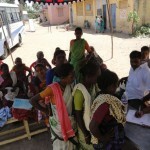 The Trust organizes anemia awareness programmes and general health check up, especially for women. The Trust sponsors medical expenses for critical illness and surgeries for a number of under-privileged persons. It has spread its donation of medicines to aged and poor patients suffering from cancer, leprosy, heart defects, kidney problem, mental illness, and other major disorders. The Trust conducts blood donation camps, wherein a number of people voluntarily come forward to donate blood. The blood collected at these camps are being given to poor people at free of cost through hospitals like JIPMER. Organized awareness programme on substance abuse by a JIPMER team for the students of Hindu Higher Secondary School at Madurantakam. Organized International yoga day celebrations for the Integrites. Mrs. Meena Ramanathan Honors award with Gratitude from center for yoga therapy, Education and Research, Pondicherry. 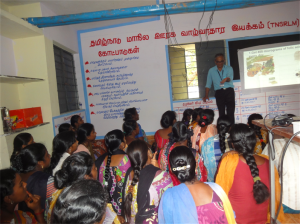 Mrs. Sumathi Gnanasagaran created the awareness program on Naturopathy for the Integrites. Integra, with the help of V-Care Dental Clinic, conducted a free dental checkup camp at HINDU Higher Secondary School at Mathuranthagam, benefiting 1400 students. Integra, with the help of P&SM department of JIPMER, conducted a substance abuse program at HINDU Higher Secondary School at Mathuranthagam. About 700 students of 9th and 11th standards were benefited. The Trust representative, on behalf of Sriram Charitable Trust, donated a wheelchair to a poor lower-limb-affected patient at JIPMER Orthopedics Department. On World Social Work Day, Dr. Subhash Chandra Parija, Director, JIPMER, and Mrs. Shanthi DD of social welfare department donated, on behalf of Sriram Charitable Trust, a wheelchair to a poor hip-affected patient. 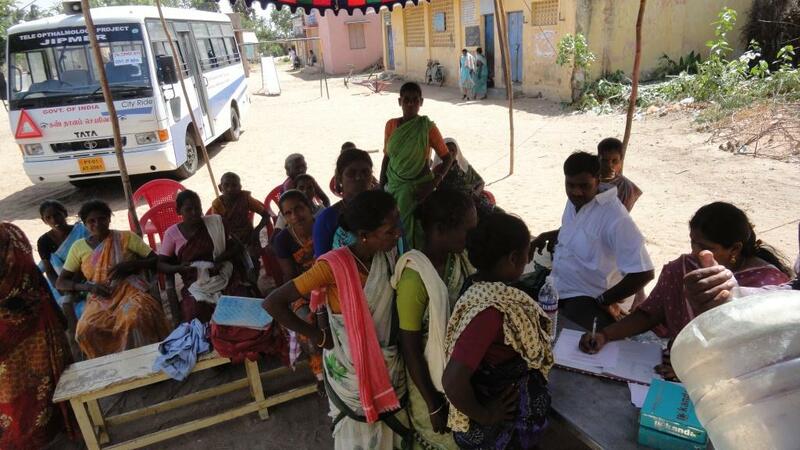 Organized a general health camp with the support of JIPMER team at Kenipattu Village. Organized a program, with JIPMER Team, on the prevention of disabled child birth, for the adolescent girls at Kenipattu. 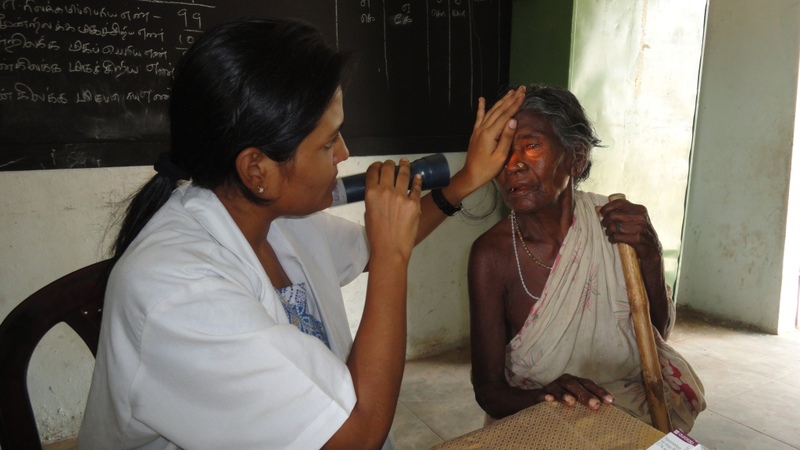 Organized eye camp for the inmates of Uthavikarangal Samuganala Thodar Kalvi Iyyakkam at Nonankuppam, Pondicherry, on November 31, 2014. 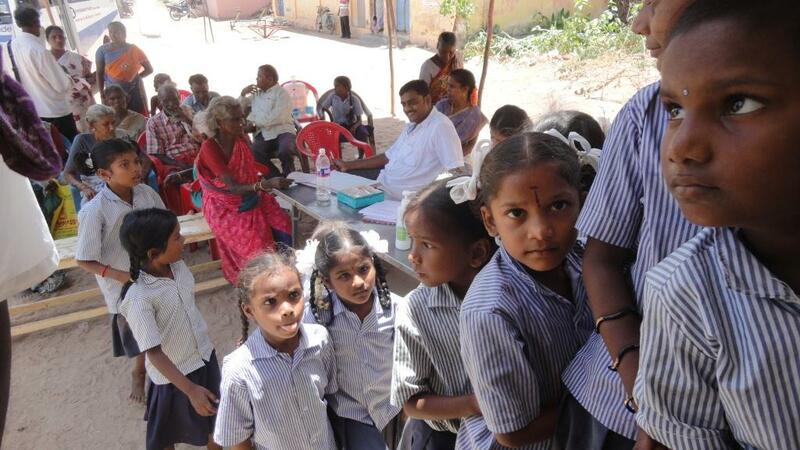 Organized dental camp for the students at Ilangovadigalar Govt. Boys’ Higher Secondary School at Pondicherry with the support of Vikare Dental Clinic. A dental care team took a session on awareness on dental care on how to brush and how to take care of teeth every day. Organized blood donation camp at JIPMER in collaboration with Indian Coast Guard on January 30, 2014. Medical surgery sponsored Sasmitha a 1 year and 4 months old female baby’s. Medical aid given to Ms. Mangayarkarasi for the monthly dialysis reimbursement expenses. Mr. M. Prabhu received medical aid for the cardiac treatment. Medical aid sponsored to Mr. Senthil Kumar for the Cardiac treatment for his daughter Suruthi (1½ year old female baby). Medical aid provided to Mr. B. Rajkumar, s/o Balaraman for July month dialysis reimbursement expenses. Medical aid provided to Mrs. Thrijita. K. d/o A. Kulasekaran on January 18, 2013. Medical Aid provided to Mr. Kaliamoorthy. f/o K. Ramesh. 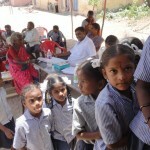 52nd Eye camp held at Kodipallam village, Chidambaram on April 14, 2012. 53rd Eye camp held at Thirunarayur village on May 15, 2012. 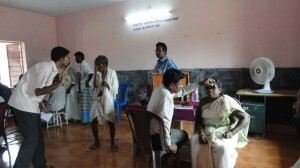 55th Eye camp held at Irulansandhai Village in Puducherry on June 16, 2012. 58th Eye camp held at V.O.C. Nagar, Muthialpet, Puducherry on Julu 7, 2012. 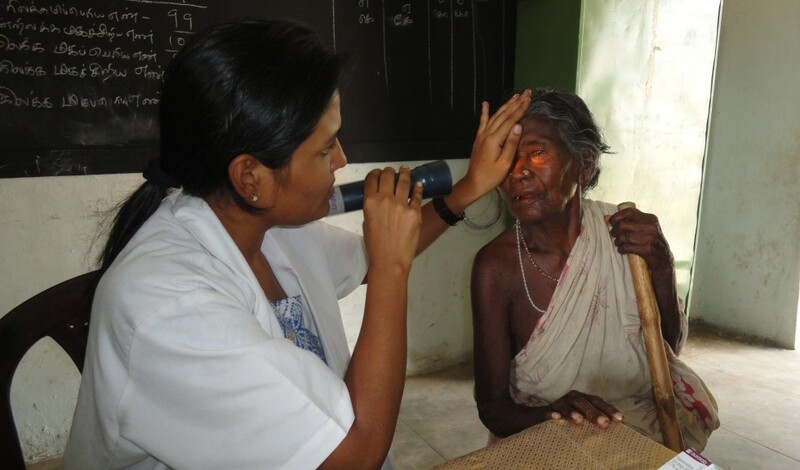 62nd Eye camp held at Palur, Cuddalore District on July 26, 2012. 63rd Eye camp held at Keezh Azhinchipattu village, Cuddalore District on July 31, 2012. 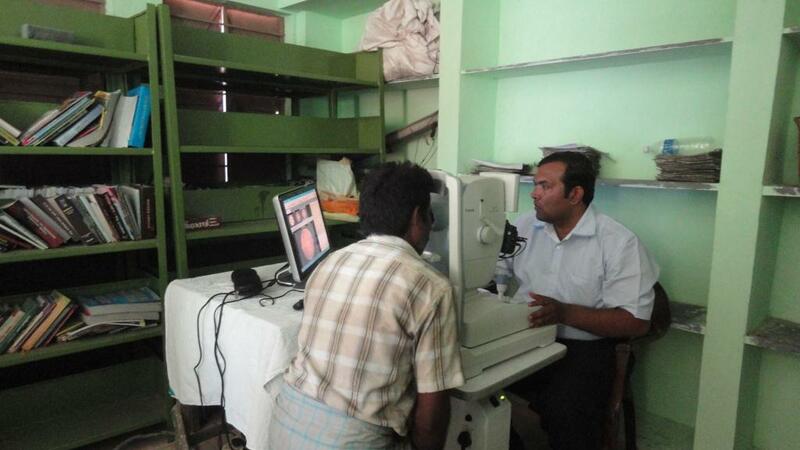 65th Eye camp held at Sivasakthi Nagar, Chidambaram on August 14, 2012. 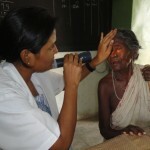 Eye camp at Kaduvanur on July 8, 2011. 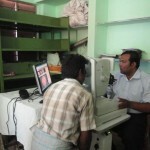 Eye camp at Pillaiyarkuppam on July 1, 2011. MEDICAL AWARENESS PROGRAM – THE TRUST SPONSORED AN ANEMIA AWARENESS PROGRAM FOR WOMEN. OVER 490 WOMEN BENEFITED FROM THIS PROGRAM. THE RESULTS WERE SHARED BY DR. UMASHANKAR (RETD). from JIPMER. IT WAS FOUND THAT MOST OF THE WOMEN WERE SUFFERING FROM ANEMIA. COUNSELING WAS GIVEN BY THE DOCTOR ABOUT HEALTHY EATING HABITS TO IMPROVE THE HEMOGLOBIN COUNT IN BLOOD. 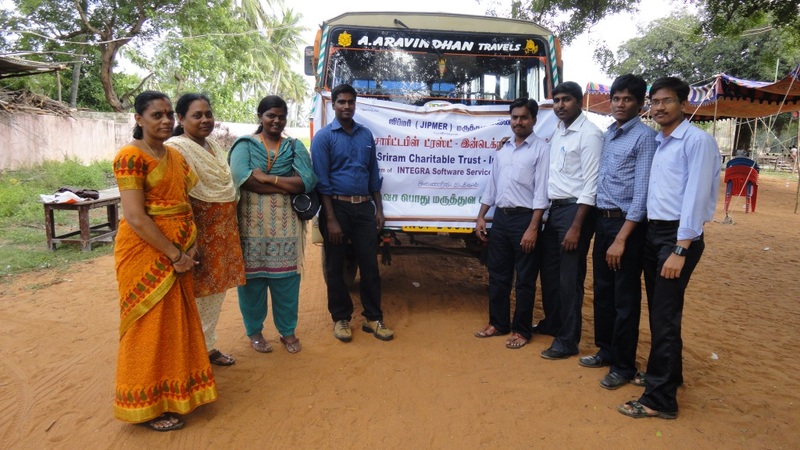 BLOOD DONATION CAMP – SRIRAM CHARITABLE TRUST AND INTEGRA SOFTWARE SERVICES PVT. LTD CONDUCTED A BLOOD DONATION CAMP IN COLLABORATION WITH JIPMER, PONDICHERRY. AROUND 100 EMPLOYEES OF INTEGRA PARTICIPATED IN THE CAMP AND DONATED BLOOD. THE TEAM FROM JIPMER HEADED BY DR.SUBBIAH WHO IS IN-CHARGE OF THE BLOOD BANK OF JIPMER COLLECTED BLOOD FROM THE DONORS.